Have you ever heard of sun printing? It’s a technique that uses sunlight to create outlines of images places on special treated paper. The result is beautiful blue and white prints, most commonly depicting foliage and flowers. 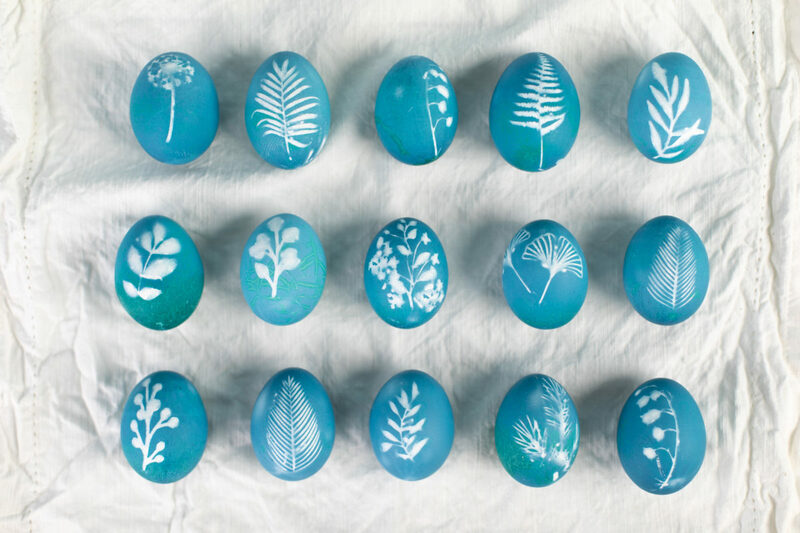 We decided to try and achieve the same look on Easter eggs with stickers we created with the CAMEO and natural dye! 1. 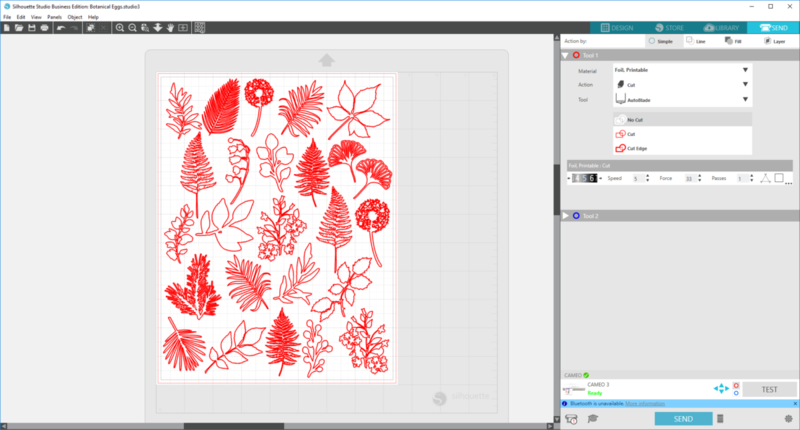 Select various botanical designs, using the ones listed above and any others you would like, and insert them into your design. 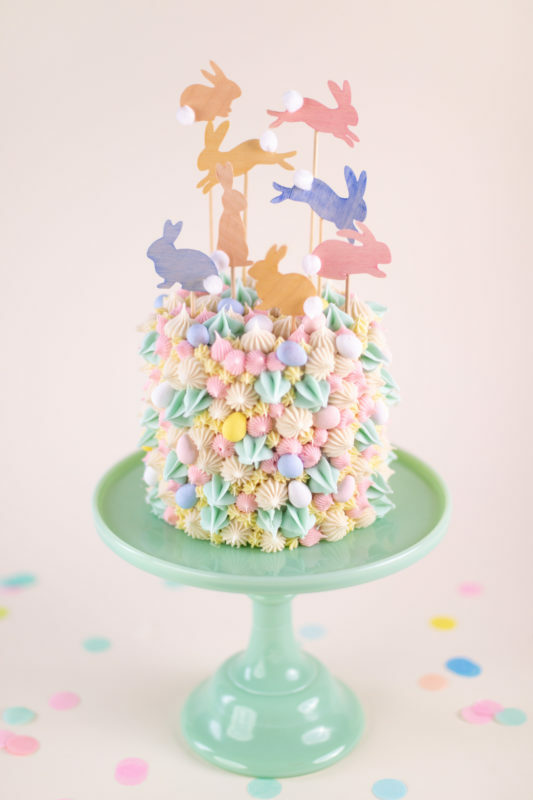 Size each design to be between 1.5 and 3 inches tall so that they will each fit on an egg. 2. 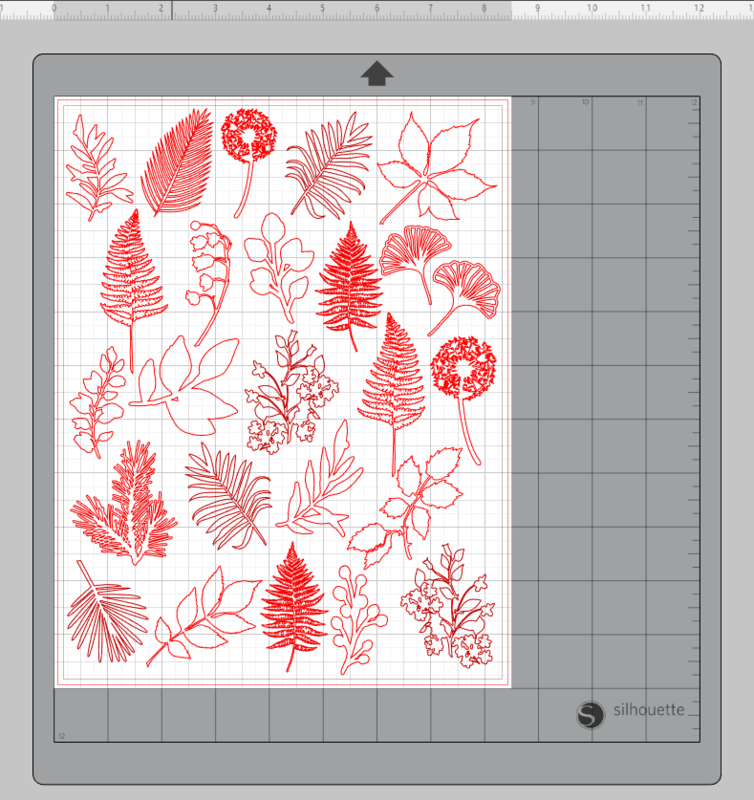 Once you have all your designs sized appropriately, go to the Send panel and select “Foil, Printable” as your material. 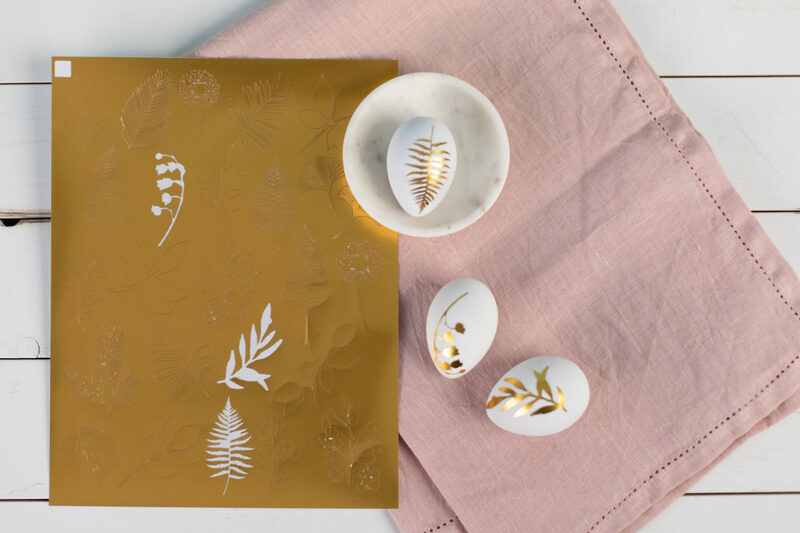 Cut out the designs using any metallic sticker paper. This will take some time due to the detailed nature of the designs, so hang tight! 1. 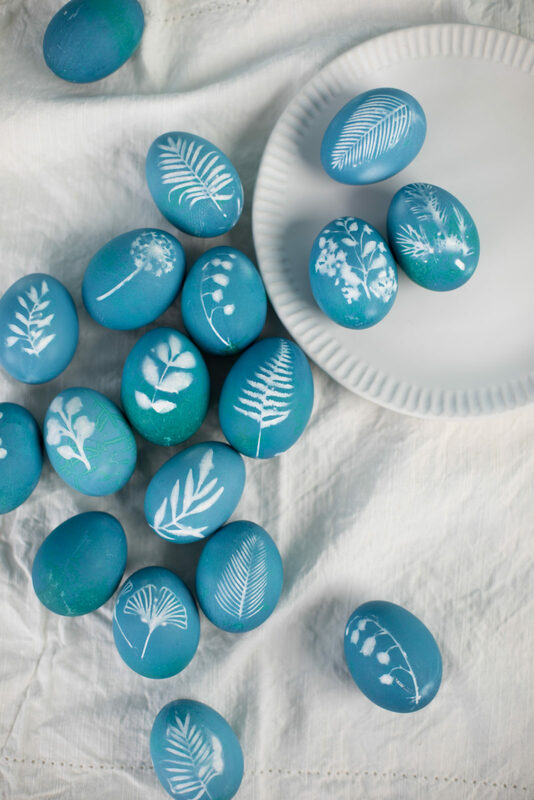 Place a sticker on each egg, smoothing out any ridges and air bubbles as best you can. 2. Cut a pair of nylons into 4-inch segments. 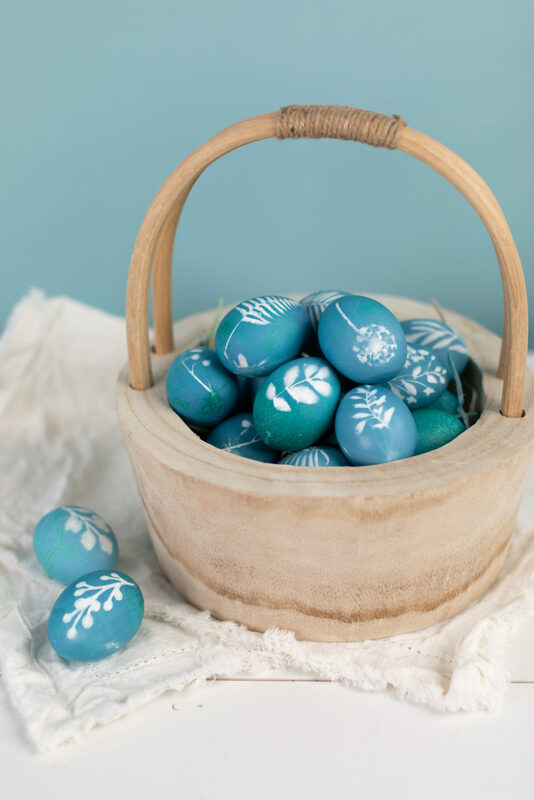 To ensure the sticker stays put on the egg while in the dye bath, wrap each egg in a small piece of nylon and tie a tight knot at the top and bottom of the egg. This will keep the sticker from coming loose when the egg gets wet. 1. 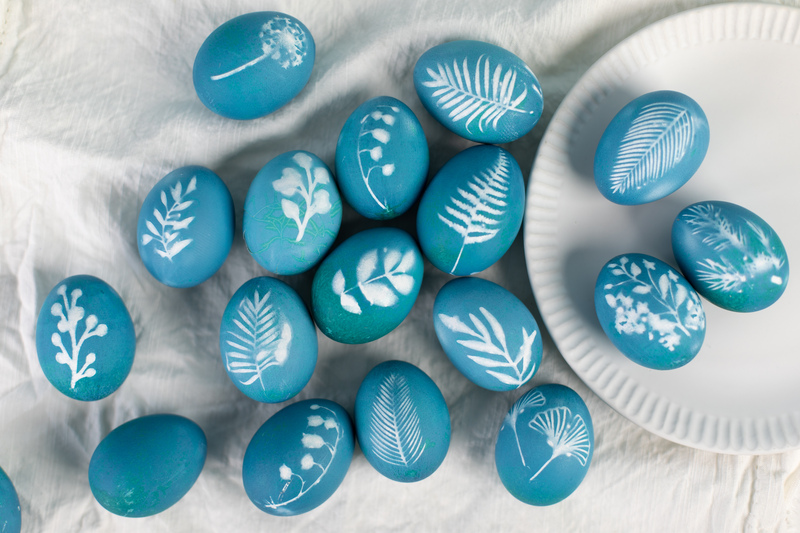 You can dye the eggs in your choice of dye, but to achieve the indigo blue here, we used a natural dye using red cabbage. To make the dye: chop up a head of red cabbage and place in a large pot. Fill with water until the cabbage is just covered. Bring to a boil, then turn down the heat and simmer for an hour. Drain the dye in a separate bowl and discard the cabbage. Stir in 4 tablespoons of white vinegar. Place eggs in dye bath and let sit for about 24 hours. Since it’s a natural dye, it takes much longer to achieve the color you want. You can check on the eggs periodically and take them out whenever you like the color! 2. 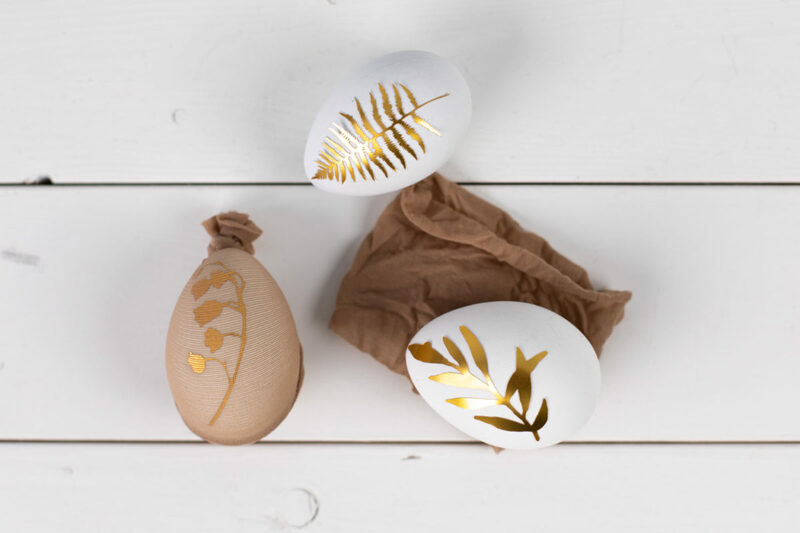 Once you remove the eggs, let them sit for a few minutes on a paper towel, and then cut off the nylons and remove the sticker to reveal the pretty botanical pattern!